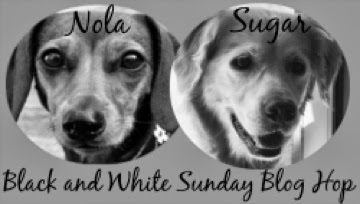 Thanks to Nola and Sugar for hosting the hop! Great photo of Dina on a mission to explore! I think this is a wonderful photo. Dina looks so happy! Good luck with your photography adventure! Those action shots are way cool and fun. Have a serene Sunday and get on some big easy today. Nose to the ground, are you on a trail? Great action shot, Dina! Thanks for visiting us. We are going to add you to our reader so we don't keep missing your posts. I love your airborne header shot! Love the new header! I do the all four feet off the ground thing, too. Based on your header photo, I'd say you were doing a good job - love it! Great resolution. Love that header shot!